With the uptrend in the global economy, managers and operators of serviced apartments in the prime areas of Kuala Lumpur are seeing healthy occupancy rates for their units. Choe Peng Sum at the balcony of a serviced apartment managed by Frasers Hospitality. He estimates there are some 30,000 hotel rooms in Malaysia compared with 2,800- 3,000 serviced apartments. 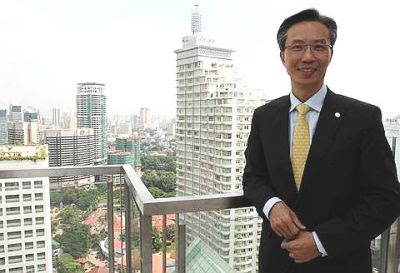 Frasers Hospitality Pte Ltd, the hospitality arm of Singapore-listed consumer group Fraser and Neave Ltd, is optimistic about the serviced apartments sector in Malaysia, says chief executive officer Choe Peng Sum. 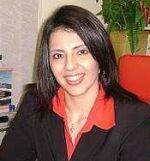 “With the economy picking up, we expect to see more businesses coming into the country. “Many of their personnel tend to remain in the country for long periods, like a year or two, and for them, staying at a serviced apartment is often a more viable option than putting up in a hotel,” he tells StarBizweek. In fact, there appears to be a high supply of hotels compared with serviced apartments in Malaysia. Choe estimates that there are some 30,000 hotel rooms available in Malaysia compared with 2,800-3,000 serviced apartments. The company is currently in collaboration with Ipoh-based YNH Properties Bhd to set up a second serviced apartment project – Fraser Residence Kuala Lumpur. ‘Shorter stay packages can fit a lot of people’s b udg ets,’ says Melissa Ram. The building is under construction near the Renaissance Hotel and should be operational by 2012. Last month, it had a grand opening of its maiden serviced apartments, Fraser Place Kuala Lumpur. At the time of opening, Fraser Place had an occupancy rate of 89% and was offering an initial promotional price of RM260 to RM300 per unit per night. The units occupy floors nine to 30 of an integrated retail and office complex in Jalan Perak and comprise a total of 215 studios, one and two-bedroom apartments and penthouses. On the global level, Frasers Hospitality also has a second brand, Modena, which caters to corporate individuals who are constantly travelling. “We call this group of people ‘roadwarriors’. These units are for those looking for something that is a little less pricey but more than a budget hotel. Modena is a step down from our other brand offerings (in terms of price),” Choe adds. The company currently has two serviced apartment schemes under the Modena brand in China, and is looking to set up four more projects there. It is also looking at serviced apartments under the Modena brand in India, Singapore, Vietnam and Kuala Lumpur. Frasers Hospitality currently manages 35 properties in 21 cities. Virgin Properties Sdn Bhd, which has been operating the Lanai Gurney Corporate Suites off Jalan Ampang since April 2008, has seen “very good” occupancy rates in the first half of 2010 versus the same period of 2009, says chief operating officer Melissa Ram. “We saw an average occupancy rate of 80% in the first six months of the year,” she says, adding that the company has also revised its marketing strategies to cater to short-term tenants. Located just 2km from the KLCC area, Lanai Gurney targets mostly expatriates, corporate clients, government agencies, business travellers, filming groups and students. The rates range from RM1,000-RM3,800 per month. Based on commercial standards, Ram says the rates of Lanai Gurney may be increased in the near future. According to Ken Holdings Bhd executive director Sam Tan, the response to its recently launched Ken Bangsar high-end serviced apartments in Bangsar has been overwhelming which he attributes largely to the project’s good location. Some 70% of its units have been taken up and the tenants are a mix of locals and expatriates. Ken Bangsar has 80 units that are priced from RM800 to RM1,200 per sq ft. The benchmark for luxurious residences in the country has risen in the past few years and it is becoming more common to read about such properties fetching unbelievable prices, at least in this part of the world. News that a Malaysian tycoon paid a whopping RM38mil for a triplex penthouse in Binjai On The Park shows that Malaysia has its fair share of affluent people with a penchant for exclusive high-end living. Super luxurious residences are mostly located at very exclusive addresses, are very spacious and fitted with the best that money can buy. Besides being the only condominium project with undisrupted view of the widely acclaimed KLCC vista and direct access to the sprawling KLCC park, the 14,300-sq-ft Binjai residence is one of only two such units. The transaction is certainly a bright spark for industry players with projects in the KLCC vicinity. Afterall, the KLCC market is still relatively slow due to the current oversupply situation and the small tenancy market. Things may start to look up again for the market if buyers feel it is the right time to buy to leverage on potential capital appreciation as prices have dropped from their previous pre-crisis high. If the trend continues, the luxurious residential market will be huge in the next few years. The growing globalisation and cross-border trade and investment will continue to fuel demand for such projects. This is because there is an increasing number of “borderless” people who have businesses and homes in various corners of the world, and they will be looking for quality property to buy for investment or as their transit homes. With Asia’s economy continuing to power on and proving its resilience, many newly rich Asians who have made it to the Forbes wealthiest list and successful people will be the next big market for these luxurious properties. Complementing the super luxurious projects is the elite addresses. While the KLCC and Mont’Kiara have the most number of high-rise condominiums in Kuala Lumpur, Bukit Tunku and Kenny Hills are the hot favourites for exclusive landed residential projects. A number of projects, which were earlier planned for launch a year or two ago, have been put on hold because of the global financial crisis. These include SP Setia Bhd’s Duta Grande, comprising 15 super-luxurious bungalows in Bukit Tunku. The 18,000 to 20,000-sq-ft units will be priced at around RM30mil each. Another upmarket project nearby is offering villas of 16,000 to 19,000 sq ft that have price tags of RM20mil. At such prices, the buyers can expect only the best including covered garage, car and passenger lifts, walk-in wine cellars, and spa to lap pool and home theatre. Luckily for the buyers, the local property market has not gone overboard like in some of the more expensive cities, such as Shanghai in China. A super-luxurious villa in the Chinese city recently changed owners for one billion yuan or about RM470mil. The three-storey villa is sited on 20 acres and has a built-up area of more than 40,000 sq ft.
No wonder the Chinese authorities are worried that the property market has overheated and have put in place various credit tightening measures to cool it down. While such luxurious projects will attract the well-heeled and high net-worth investors to our shores and raise the profile of Malaysia’s properties, developers should balance such projects with other more affordable projects to meet the demand of the average buyers. Deputy news editor Angie Ng says while things still look pretty much under control for our property market, it pays to remain vigilant and all stakeholders need to contribute towards a balanced and sustainable market. SELANGOR Dredging Bhd's (SDB) sub-subsidiary, has won its bid for an 18 year-old residential block on 63, Cavenagh Road, Cavenagh Mansions, Singapore for RM99.6 million, or S$42.38 million. Yesterday, SDB announced that Teck Jin (Private) Ltd, the owner of the residential block, had accepted the offer by SDB Asia Pte Ltd. The property comprises a site area of about 19,813 sq ft and has potential for development by virtue of it being located in District 9 which is one of the prime and desired residential areas in Singapore. The project is expected to have a gross development value of RM205 million. Due to its proximity to the Central Business District, Orchard Road shopping and entertainment belt, District 9 is popular for its exclusive condominiums and high rise private apartments. District 9 also constitutes the main shopping district of Singapore. Major department stores, hotels, boutiques and dining and entertainment venues are located there. "The acquisition will provide an opportunity for SDB Group to further expand its property activities abroad and build the SDB brand name internationally," SDB told Bursa malaysia Bhd yesterday. MAH SING Group Bhd has bought three parcels of land in Puchong, Sg Buloh and Bukit Jelutong in Selangor to build residential, commercial and industrial properties worth RM1.1 billion. The first parcel of land, opposite the Kinrara Golf Club in Puchong, is to develop residential properties. Mah Sing said in a statement yesterday that the project, dubbed Kinrara Residence, has an estimated gross development value (GDV) of RM730 million. The second parcel, which is adjacent to the Rubber Research Institute land in Sg Buloh is for a commercial project, known as Star Avenue, worth RM280 million. In Bukit Jelutong, Mah Sing will build i-Parc 3, an industrial project worth RM82 million, which is a continuation of its i-Parc brand. Mah Sing said the 3 parcels of land will reinforce its strength as one of the few local developers to offer a complete range of properties in its stable, namely residential, commercial and industrial. With the new land acquired, Mah Sing has projects with remaining GDV and unbilled sales of about RM7.5 billion in the Klang Valley, Penang Island and Johor Baru. Some 59 per cent of the projects are residential properties. Commercial and industrial make up 36 per cent and 5 per cent respectively. Mah Sing said the landbanks will keep it busy for some 6 years. This year alone Mah Sing has acquired new projects worth RM1.9 billion for building works stretching to 2011 and beyond. "We are pleased that our performance has been acknowledged with our most recent award, the inaugural The Edge Billion Ringgit Club awards where we were named recipent for Highest Compound Returns to Shareholders over 3 years," it said.